Beautiful, fun and bright solo dress. Made 10/12 by Patricia Martig. 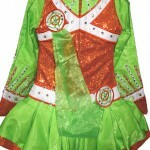 Lime green satin with twinkle overlay and bright orange sequined bodice. 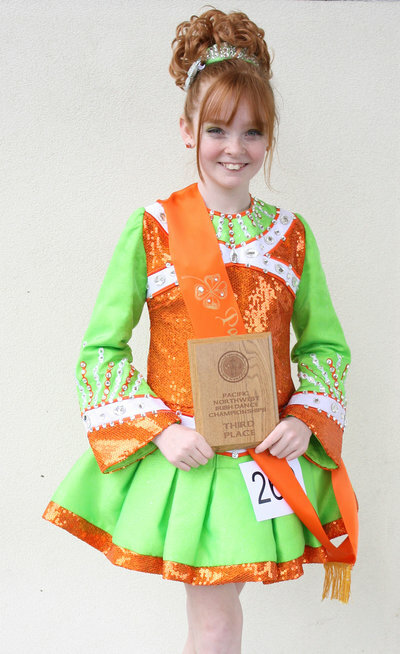 Would suit 9-13 year old dancer depending. 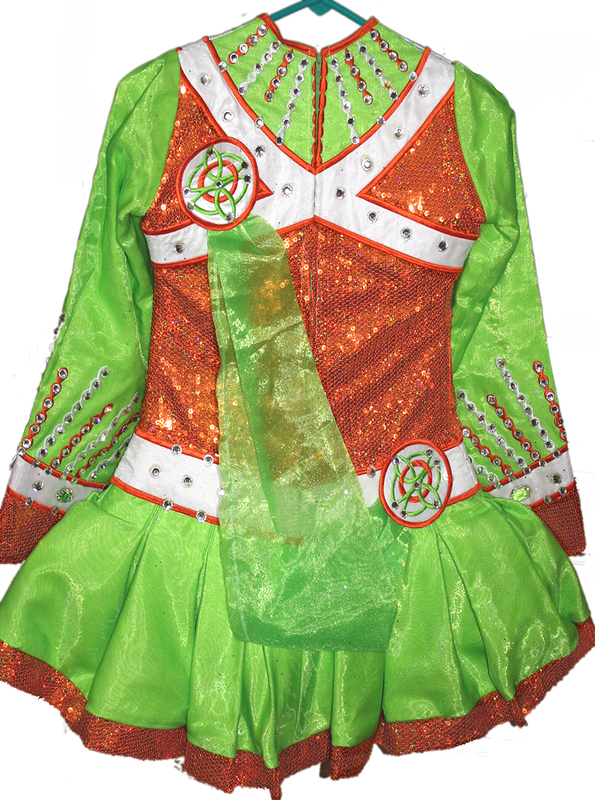 Dancer currently 4′11″ – dress just starting to get short – and 11 years old. (However, dancer has very long legs.) There is a lot of room in the bodice – but still hangs very nicely. Comes with orange bloomers, a full head band, and bun wig wrap band. One owner – made for 2102 Oireachtas. No stains, odors or tears. Worn about 10 times. Please email for more details and close up photos. There are some glue spots (where it seeped around the crystals) on the white that you can see from close, but not from a short distance. I have full measurements of dancer and a lot more details upon request!